Welcome to 2 Silos Brewing Co. We are located on the 8-acre Farm Brew LIVE at Innovation Park campus in Manassas, Va. We are committed to promoting the craft beer culture by making our 2 Silos Brewing Co. beer selections the finest in the Northern Virginia region.  2 Silos Brewing Co. is a place to bring family and friends together while enjoying craft beer, craft food and live local music. Take a look around and enjoy the experience! We will be conducting public and private tours! Come see where all the science happens! For more information click below. No outside food or alcohol is allowed. Growlers & crowlers purchased at 2 Silos Brewing Co. are for take-away consumption only and may not be consumed anywhere on the Farm Brew LIVE (FBL) campus. Smoking of any kind (cigarettes, e-cigarettes, vapes, cigars) is permitted ONLY IN THE DESIGNATED AREA LOCATED BY THE BOCCE COURTS. Smoking is not allowed in any other area of the FBL campus, to include the parking lots and fire pits. ID’s are required for all. Dogs are welcome in outside areas, including the YARD until 8pm. Dogs must be leashed and under control at all times. Please clean up after your dogs. For your convenience, doggy stations have been placed throughout the FBL campus. Only animals designated as service animals are allowed inside the tasting room. This includes the covered patio area. Service animals are defined as dogs that are individually trained to do work or perform tasks for people with disabilities. Dogs whose sole function is to provide comfort or emotional support do not qualify as service animals under the ADA. Help keep us green. Please put all garbage in appropriate receptacles. Shoes and shirts are required throughout the FBL campus. Children must be with an adult at all times. After 9pm, all guests under 21, must be accompanied by a parent or guardian. Please respect the trees and plants. Let them be and let them grow. No climbing. For that matter, no climbing on anything. Not the trees, nor the walls, nor the fences, nor the stage. All bags are subject to search. No glassware in the YARD. Have fun & enjoy responsibly! IF YOU HAVE ADDITIONAL QUESTIONS, PLEASE REVIEW OUR FAQS OR CONTACT US. © Copyright 2019 • 2 Silos Brewing Co.